With Valentine's Day fast approaching, it's time to get your head in the game and start making some special plans. If you’re looking to spoil your loved one silly (and cheaply) or just want to impress your blind date with your culinary knowledge, look no further. Feast It brings you the ultimate street food guide that promises to pack a punch. 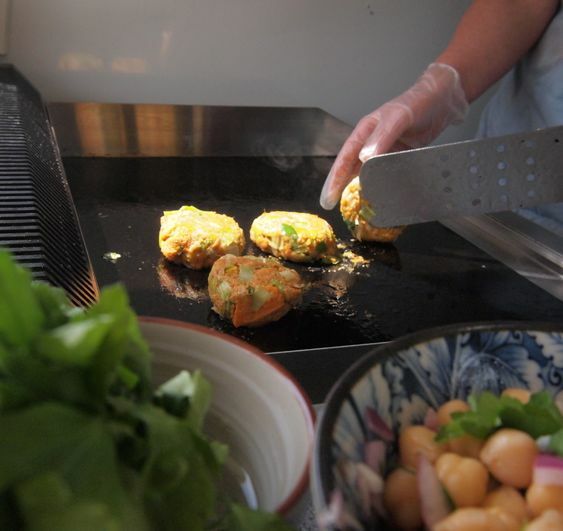 And don't forget, if the day goes really well, we can make sure your wedding food is equally exciting! These guys have skyrocketed their way through the street food scene, serving the very best Ghanaian dishes. Over the years they have perfected their dishes and spread the love, serving food to the adoring masses. If you want to ignite a fire in your belly and your heart why not try their famous Coconut Chicken or mouthwatering Tilapia and Green Bean. 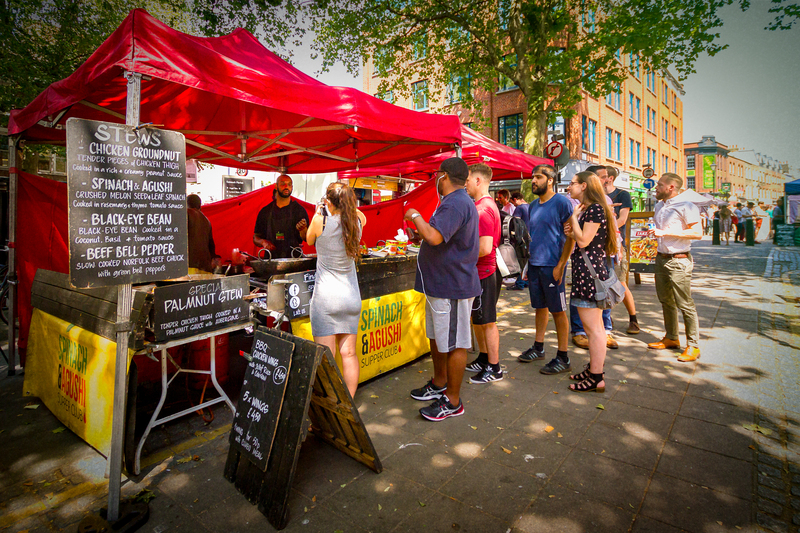 You can find them at Exmouth Market 11.30am-2.30pm weekdays, and on Saturdays they are at Portobello and Broadway Market 11am-5.30pm. If you’re looking for a quick bite that won't disappoint head east to try The Orange Buffalo. These hot wings are certainly not for the faint hearted, with one dish on the menu famously called the Viper. If your mouth is on fire order their chips covered in blue cheese. You might want to warn your date their fingers might get a bit sticky, but these wings are worth the mess! 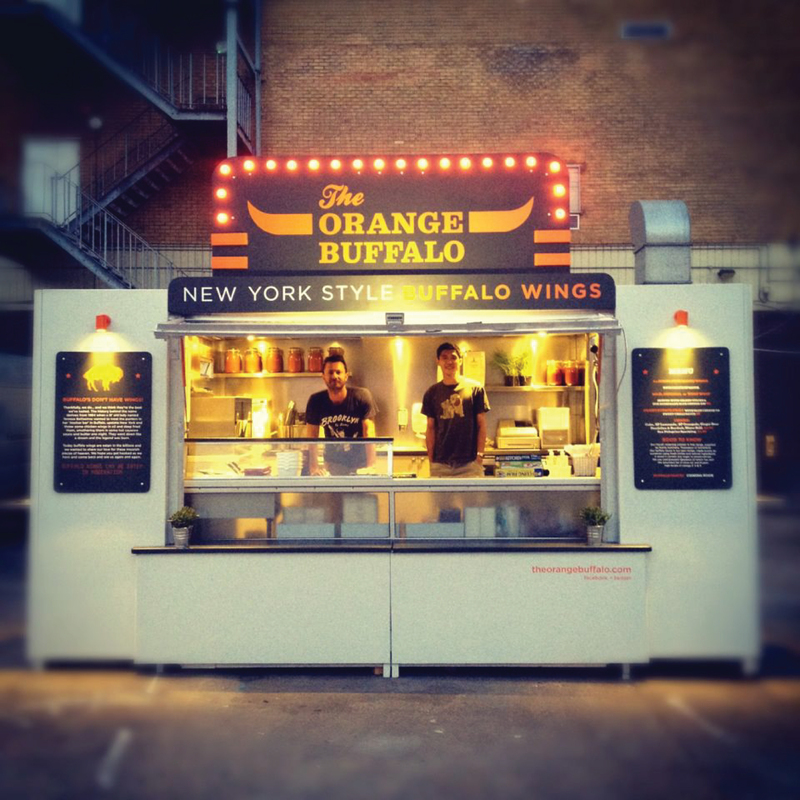 The Orange Buffalo can be found at Truman Brewery Car Park, London E1 6QL. These guys are one street food vendor not to be missed. Their food transports you to the streets of Sri Lanka with each mouthful of their famous Kothu. If you can't quite afford the air fare to Colombo this Valentines, Croydon's Boxpark is the next best thing. 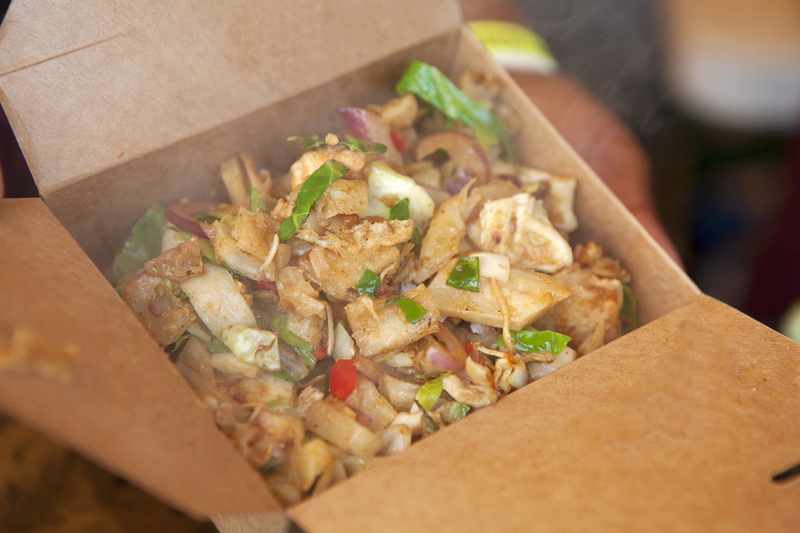 Kothu Kothu can be found at Boxpark Croydon, 99 George Street, CR0 1LD. If you are lucky/unlucky enough to be dating someone who is vegan or veggie, getting dinner right can sometimes be a bit of a daunting experience. But don't panic, street food caters for everyone! Head to Rupert’s Street to treat your loved one with the most delicious vegan food out there. Even all the meat eaters out there can't deny their Spinach and Cashew Burger is top notch. You can find Rupert Street at various locations in London, go to www.rupertsstreet.com/ to see where their truck will be. And finally, you may not have a plus one this Valentine's Day but that's no excuse to miss out on Le Choux. These choux buns, created by the amazing founder and pastry pioneer Abigail Scheuer are baked with a thin layer of crumble and hand piped with different fillings. These sweet Parisian treats will satisfy you like no-one ever could! Even if your Valentine's day is a bust, there will be no love lost between you and these street food traders!